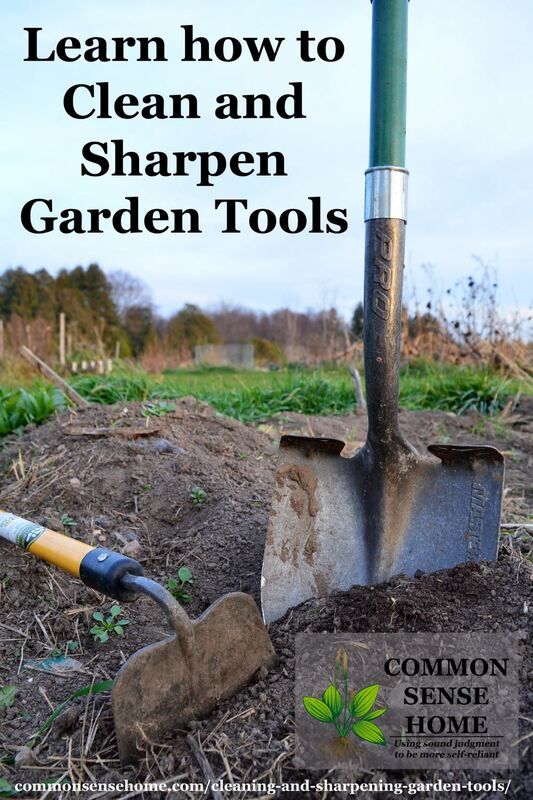 Gardening has enjoyed a resurgence in recent years, with folks tackling everything from small container gardens to large scale permaculture landscape transformations. No matter what your growing space or budget, if you're willing to invest some time and effort, you can get a harvest. My home garden is in northeast Wisconsin, zone 4/5, about 15 miles from Lake Michigan. Our winters are somewhat tempered by the lake, but our location along the Niagara Escarpment puts us in one of the windiest areas of Wisconsin. Our last frost date is generally around mid-May, our first frost date often hits mid-September. There are also some articles from my brother in zone 3, and my friend, Amber, in zone 8. 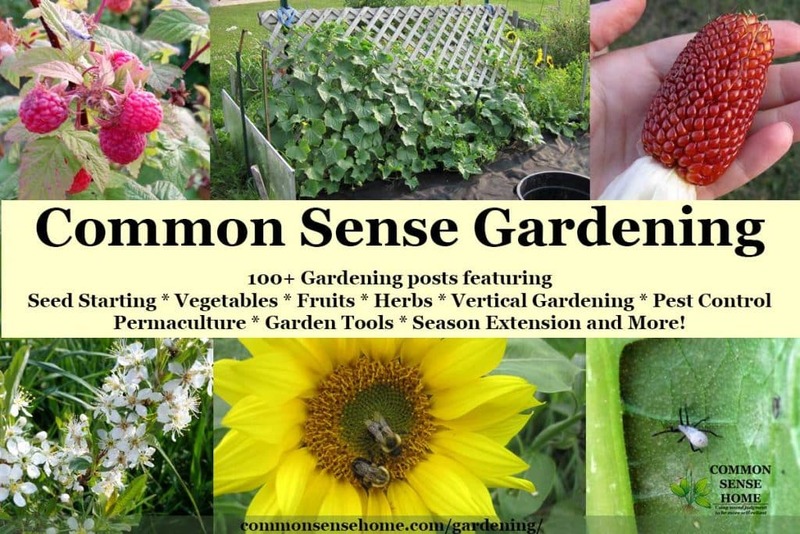 We'll continue to add to the gardening posts as time and inspiration allow, but if you have a specific question or request, please leave a comment and let us know! 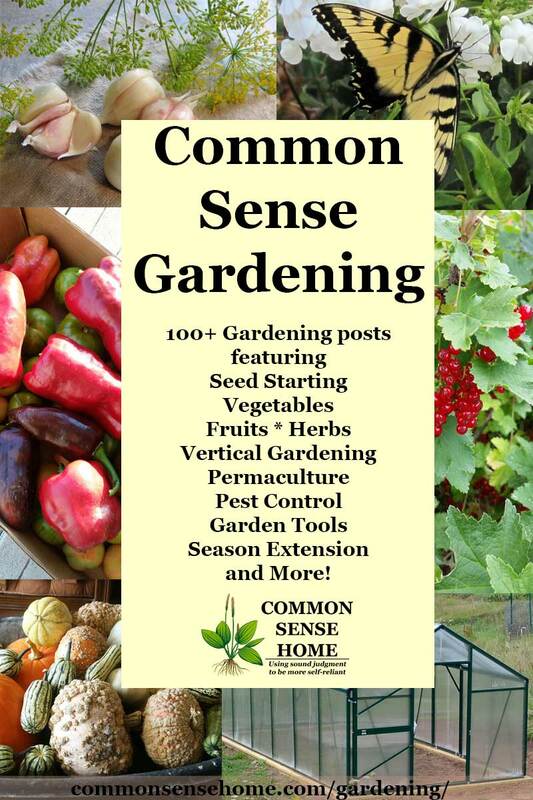 You'll also get regular updates throughout the year with gardening and food preservation tips in our weekly newsletter, and the opportunity to share your ideas for upcoming gardening courses. Is your gardening goal to feed your family or have a few fresh tomatoes, or something in between? The bigger your goals, the more time you're likely to need to spend in the garden. I suggest starting small and scaling up, focusing on some of your favorite crops. Herbs and flowers should be welcome in every garden, even if you don't use them for cooking. They often help repel pests and create a habitat for pollinators. Some crops are best direct seeded in the garden, and some do better as transplants. Which crops fall into each category will also vary depending on your growing conditions. As a northern garden, I start many of my heat loving plants inside. I love having plants growing while waiting (somewhat impatiently) for spring. Starting my own seeds also allows me to choose from a much wider array of plant varieties, including hard to find heirlooms and rare plants. Veggie gardens are probably what most people first think of when they think “home garden”, and for good reason. With only a modest commitment of growing space and effort, you can pick your first harvest in a matter of weeks. 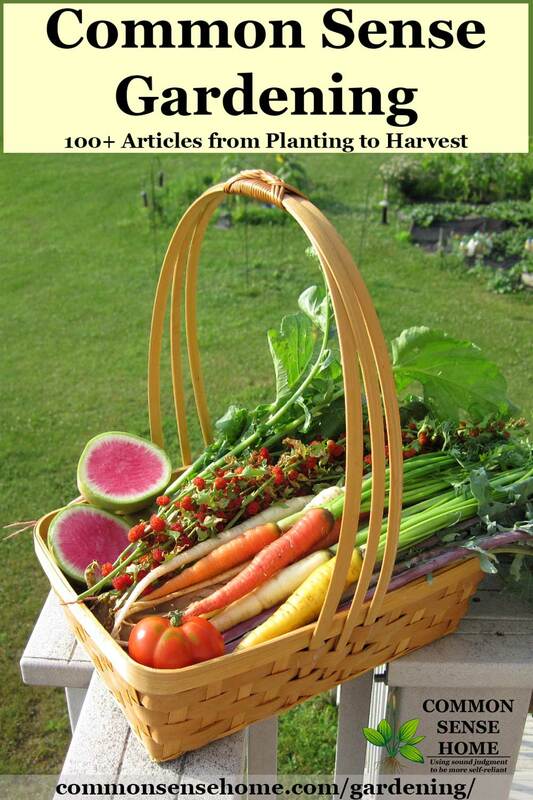 Some crops mature more quickly (like salad greens and radishes), some require more time (like parsnips and pumpkins). Check the “Date to Maturity” listed on the seed package for an estimate of time to harvest. I've grouped asparagus and rhubarb with the veggies, even though rhubarb can be used in both savory and sweet recipes. Tomatoes are also here, since they are typically used more like a vegetable than a fruit. Pepitas (hulless pumpkin seeds) also get to go with the veggies, since to grow the seeds, you need to grow the right pumpkins. Homegrown fruit is wonderful, but it often takes a more long term commitment. Our perennial fruit crops are still young, so I'll be adding to this section as they come to maturity. Most of the herbs I've grown over the years have done well with little help from me. I tend to tuck them here and there in my vegetable gardens, orchards and wherever else there's room. If you have a specific herb growing request, let me know. Because of our strong winds, any vertical gardening I do has to be very sturdy. I can't take advantage of as many options as someone in a more sheltered location, but I still make use of trellises and other plant supports to maximize my gardening productivity. My first level of pest control is to try and get everything growing so healthy the pests don't bother it much. 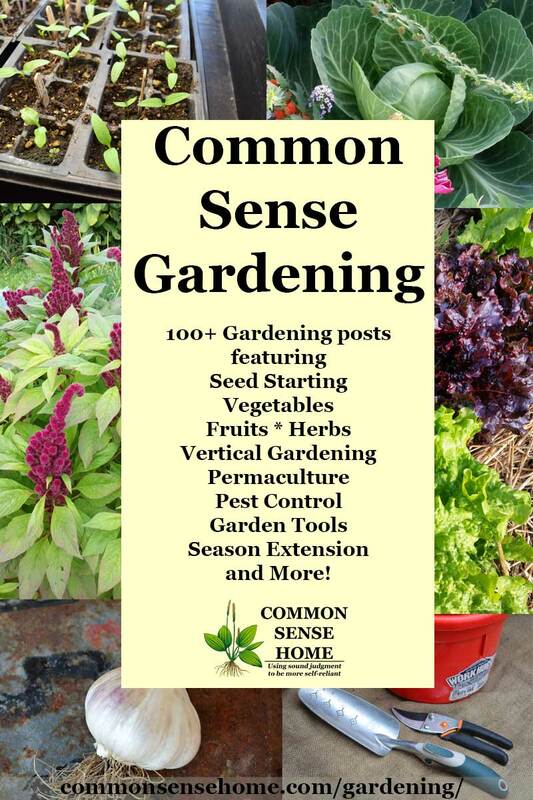 Unfortunately, gardening happens – drought conditions, extreme heat or cold, too much rain or other plant stress creates conditions favorable to garden marauders. Usually some minor intervention and TLC gets things back on track and saves the harvest. Permaculture is more than a gardening style, it's a way of life. Based on the root words of “permanent culture” or “permanent agriculture”, it uses a systems approach with a heavy reliance on perennial plantings. The design ethics combine earth care, human care and return of abundance or surplus. The soil is protected and enriched, not destroyed. Water is gathered and filtered, recharging aquifers. Sound impossible? People are applying the principles around the planet – with amazing results. We've only just begun changes on our land, and already I can see a notable difference. With a little protection, cold climate gardeners can get a jump on spring planting and not be “stopped cold” by fall frost. We have a small attached greenhouse, a larger detached greenhouse and a couple of cold frames to help with season extension. You don't have to grow year round to eat year round from the garden. A number of crops lend themselves to easy storage “as is” when properly cured. Some require cool temps and high humidity, others store fine at regular room temp. Parsnips are a favorite of mine, as they overwinter right in the ground. As soon as the ground thaws in spring, we have one of our “first” garden harvests of the season. Some crops require a little more effort to enjoy in the off season, but once you taste the difference in homegrown fruit and vegetable quality, you'll be hooked. Our family uses a variety of food preservation techniques, for a variety of flavors and textures. 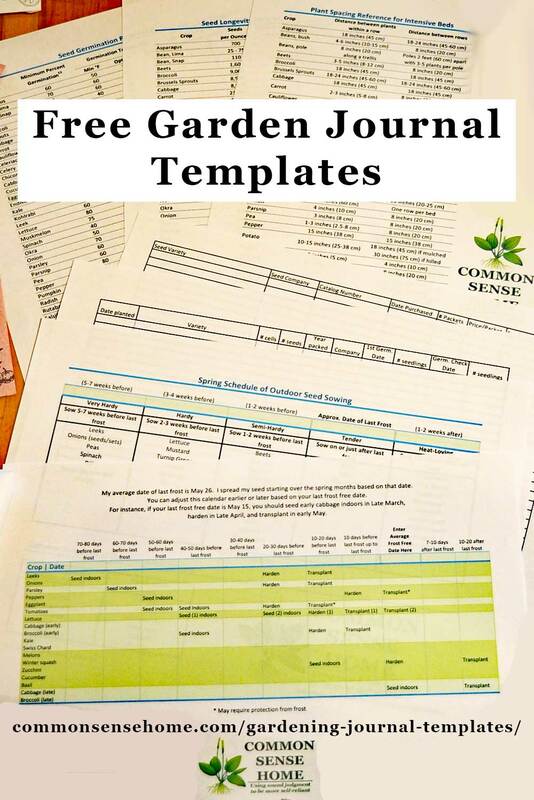 Don't forget to check out the recipe page for recipes that use fresh garden produce, including canning and preserving instructions for several crops. Musings and ideas, why “soil” is more than “dirt” and tips for our winged friends and other wee beasties. Giant Vegetables – How Big Do the Record Holders Get? Although not standard “garden” elements, my weeds are also harvested for culinary and medicinal use. You can view the Weekly Weeder and Herbal Posts for more ideas on how to put your weeds to work. What great photos! That was fun! I love the idea of a round garden. I do everything on the side of hill so it’s all in raised beds that are sort of terraced. Your garden is beautiful! Love the 360 view from the center of it! Thanks for sharing! Thanks, Susan. It’s great to look back at the summer photos and dream this time of year. LOVE THE WAY YOU DO GARDEN . YOU MAKE IT SO EASY TO WALK AROUN D TO WORK AT IT . I aim for patches of plants that are wide enough that not so much space is lost to paths, but they are narrow enough to reach across. It’s rather hard for me to visualize exactly the size of everything, but it does sound like they may end up overcrowded as they grow. If you transplant outside before they get too big (after hardening them off), you may be okay. CHERRY TOMATO CERISE (100 Seeds Approx) The smallest variety, producing sweet tasting red tomatoes. Delicious eaten raw or cooked, very popular with children. Indoor Planting: Sow seeds 1.5cm deep in pots or trays of moist compost, be careful not to over-water. Store in a warm location at an approx. temperature of 18c (65f). When the seedlings are approx. 6″ high, transfer to larger pots and reduce the temperature to 16c (6f). The plants can be moved to an unheated glasshouse in April or hardened off and planted out from June. Support the plants when needed. Limit each plant to 4-5 trusses and pinch out the sides hoots. Feed regularly with a tomato feed. Sow Indoors: March , April. Hi I live in apartment building.Love to grow my vegetable .I am very new to it What can i grow in the pot ,and from where should i start?I need help.I live in chicago. This time of year in Chicago, you’re not going to have much luck growing things unless they are inside and require only low light. Sprouts, greens and some spices might cooperate. I just got an email from you about your garden and all the rain. I’m surprised you are planting crops like broccoli and cabbage at the same time as beans and corn. If I tried that my broccoli and cabbage would bolt before I got any while the beans and corn are loving the warm weather. It also seems a bit early for parsnips as I usually plant them in September for harvest the following Spring. I’m in NW AZ at 3700 ft elevation so we do get into the 20’s and once in awhile the teens during December and January. I like the climate here as I can grow food outside year-round. Where are you located? I’m in northeast Wisconsin. Generally speaking, our summers don’t tend to get very hot, so bolting isn’t usually an issue for the cabbage and broccoli, although Chinese cabbage is more fussy. Ideally, we would have had the cool weather crops in a bit sooner, but we were busy putting in all the new trees and shrubs this year. The growing season is fairly short, and the winters are cold. I put my parsnips in now, they grow to maturity over the season, and then I mulch to protect them over winter and dig them in spring. Without protection, little survives over winter. Last year we planted 3 types of cabbage red, flat dutch and early dutch. We were unable to enjoy any of them, because every head had the same musty almost roten taste. Do you have any ideas on what could have caused this and how to prevent it this year? Have you checked the pH of your soil? Cabbage family crops like a soil that’s a little alkaline, so some garden lime might be helpful. Also, they are heavy feeders and like a lot of nitrogen. If you follow the guidelines for growing bigger broccoli from this post – https://commonsensehome.com/grow-big-broccoli-heads/ – it should also help your cabbage. What a beautiful garden! I love how you made your garden look that way as it is very unique, thank you for taking the time into sharing these great photos. I recently did a test on my garden soil. I was totally shocked! After years (6), of dumping compost, chicken, horse and quail manure all over my garden The N came back as “nil.” In fact it barely registered which on my chart was nearly”0″. Phosphorous was the only thing that there was a abundance of. In 2015 I went around town collecting bags of leaves. Eventually, I ended up with 120 bags…BIG BAGS! That next spring my wife and I spread those leaves all over the garden. We ended up with about a covering of 4-5″ deep. I think it is the only thing that saved what little we had of a garden last season due to the drought that lasted all summer. That fall I turned all of that under hoping to build humus in the soil. Not sure it was all that beneficial. I am considering sowing rye or buckwheat this fall and turning that under in the spring. I did add “triple 19” to the garden for this season. I had to do something. I have access to tons of newspaper. I have thought of getting that to cover the garden with and then covering that with straw. What are your thoughts? I do use newspaper in the garden, but sparingly as mulch. It’s organic matter, so it will rot down, but I’m not 100% sure what dyes are being used in the print process, and if that’s something I want in my garden. The newspaper will not address your nitrogen issue. If you want to cover crop to add nitrogen, look to legumes and/or annual clover in combination with your rye and buckwheat. Also, the large amount of carbon you added will tie up free nitrogen, influencing your test results. Wonderful writing ..from it i learn many more.i hope it will help everyone who reads it,, Thanks a lot for nice writing.Best of luck. Excellent writing here Laurie, we hope to work with you in the future 🙂 All the best. Bob.